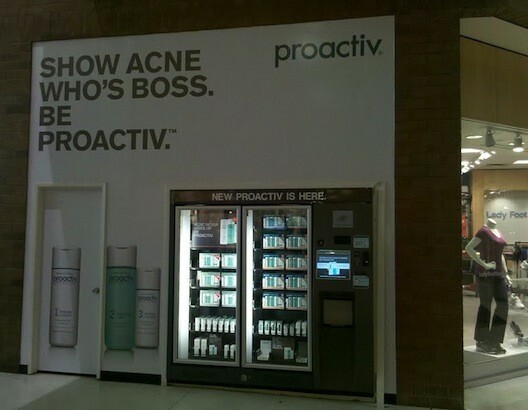 Ladies I was the Glendale Galleria in Los Angeles and happen to see this PROACTIV vending machine. This product has been a heaven-sent for me and to be able to get it right in my local shopping mall is brilliant, look out for these in your major city. A long way from the massive amount of vending machine brands in Japan, but def a start…will this be the end of the annoying teen clerk.